Stand-by generators come in different sizes and capacities to accommodate your individual needs. The cost of purchasing and using a generator is more economical than you might think. For qualified buyers a special twelve month financing program is available with approved credit. If you live in Totowa, NJ or neighboring town purchasing a stand-by generator can enhance the value of your home and provide you years of security knowing you will not be without power. Bloomfield Cooling and Heating, Inc. has been serving your area since 1986. Safety is an essential issue to think of when buying a stand-by generator. The biggest danger of using a portable generator is the carbon monoxide poisoning produced by generators when it is not used correctly. 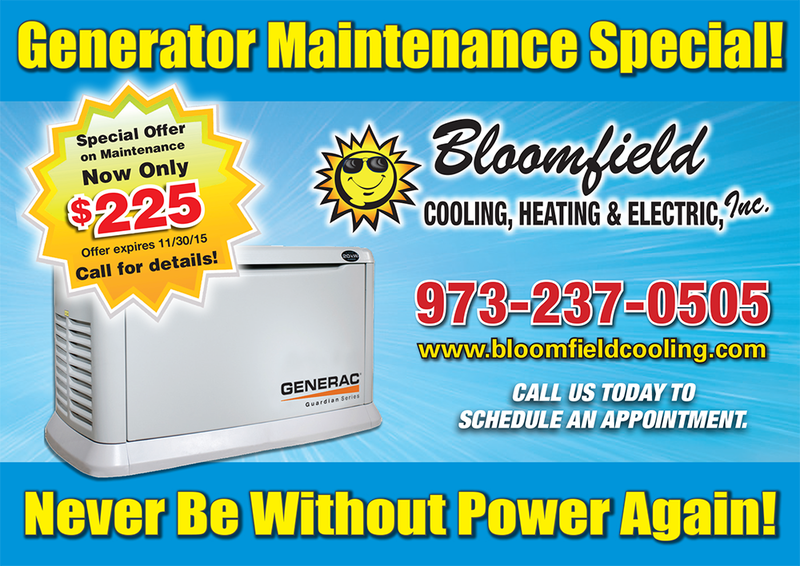 You can rely on Bloomfield Cooling and Heating, Inc. to install and maintain a safely operting stand-by generator. You and you family are worth the investment. 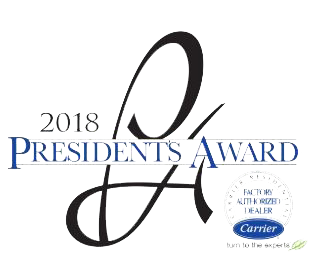 Our certified technicians pride themselves in providing the quality of service you deserve. They will provide a free onsite evaluation and estimate to make your investment in your home and quality of life a decision you will be happy and proud of for many years to come. Our certified installation technicians will complete their part of the service and will take the time you need to understand and operate your stand-by generator with confidence. Lastly, our customer service will provide you with courtesy and the knowledge of the products to assist you with your question and concerns for years to come. Many things depend on electrical energy these days. The failure of this energy has made most people to look for alternative sources of energy. You can find what you are looking for at reasonable prices. It is of great importance to budget well for a good quality generator. As most generators are compact in design, they will need professionals to install them in order to avoid complications. 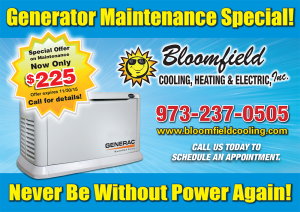 Our team at Bloomfield Cooling, Heating and Electric, Inc., are experts and have experience in generator installations. After the installation, our technicians will test the generator and make sure that it works effectively. We recommend units that provide great energy at about 22Kw to 7Kw of power per home. The installations are done completely by our technician. The automatic transfer switch is also installed to allow the power energy to change automatically to electricity when power resumes. Once you have made up your mind on your energy needs, we are ready to install your choice in your home as well as repair generators at an affordable price. Our services are the best and anyone planning to repair or install a generator can contact us.